Camp Smile is a camp that was created for blind and visually impaired children in order to have an opportunity to experience a summer camp where they are surrounded by their peers, have the ability to experience new things, and grow! 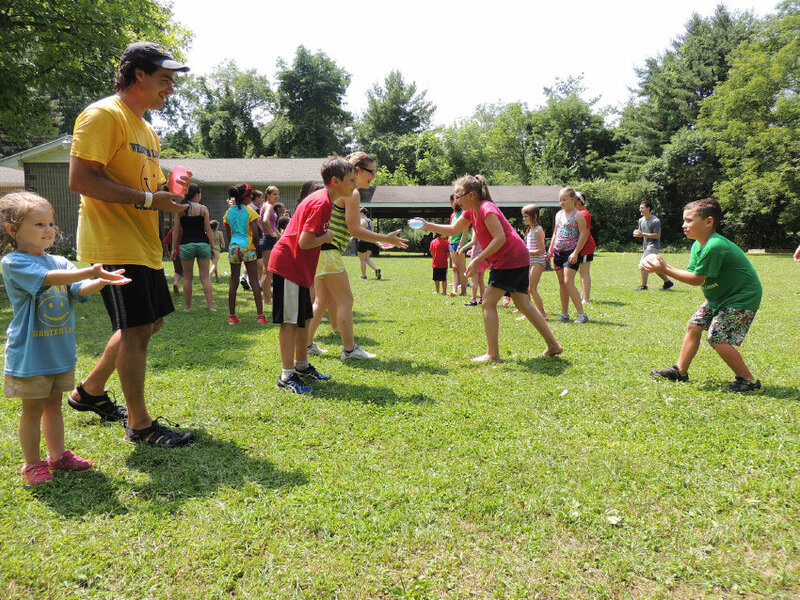 Each day, our campers are assigned a counselor and CIT (counselor in training) with whom they will spend their day with. The 2:1 ratio of camper to counselor ensures that each camper is provided with the support that they need to enjoy all that Camp Smile has to offer. Campers have the opportunity to choose from a variety of daily activities such as crafts, songs, athletic activities, and special events (e.g., on-site guests & field trips). The primary purpose of Camp Smile is to provide real-life opportunities not otherwise available to the blind. The ultimate goal is to encourage each child to be independent, to experiment, to feel and sense things that for many of them occur for the first time at this camp. Although supervision is constant and help is nearby, each child is given a chance to succeed and fail with everyday problems with a minimum of interference. Campers’ visual acuity must be no better than 20/200 in the better or stronger eye with the best correction and/or a restricted field of vision of 20 degrees or less in the better or stronger eye. A camper with monocular vision is eligible. Due to our location, facilities and transportation, the camper must be ambulatory with at least the use of a walker. The definition, by the way, comes from the Commission for the Blind and Visually Impaired guidelines, which most school districts use.